Due to many factors (lack of protein, male pattern baldness, stress…), hair loss becomes more frequent, which is inevitably demoralising whether for men or women. Hair transplant is considered among the best techniques to boost hair growth and fix baldness and it is the ideal treatment of bald patches and a receding hairline. As the name suggests, A hair transplant is a surgical procedure in which hair is moved from the back and/or sides of the scalp, where it is permanent (donor area), to areas that are thinning or bald on the front, top, or crown of the scalp (recipient area). Once transplanted, the hair will continue to grow for a person’s lifetime. Hair transplantation techniques have come a long way actually , it all started in the 19th century when scalp flaps were used, a band of tissue of hair was shifted to the bold area. In the 1930’s , modern hair transplant techniques began in Japan. And in the 1990s, surgeons were practicing the mini-micro- grafting procedure, in which grafts of different sizes were placed on the scalp to provide a more natural look. In 1994, surgeons began practicing a new procedure known as follicular unit transplantation, or FUT. FUT was a more logical extension of the micro-grafting and minigrafting surgeries. In an FUT hair transplant a thin strip of hair is removed from the donor region. The next big step in hair restoration treatments would come in 1999 with follicular unit extraction, or FUE , which is considered as an advanced form of hair restoration. 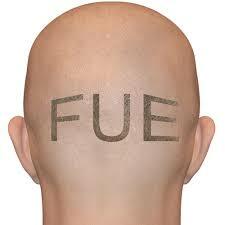 In an FUE transplant each hair graft is removed from the donor region one by one, using a punch tool. 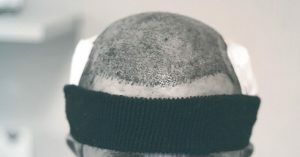 Regardless of whether FUE or FUT is used to remove the hair, the method for transplanting each of the grafts is exactly the same. The many benefits of a FUE procedure include the most natural-looking hair restoration, a quick recovery time and no linear scarring as opposed to FUT which is a highly- invasive method that may cause a possibility of nerve damage and a stiffness in facial expression as well. Hair transplantation began to take root in the public consciousness , due to its myriads of benefits like the long lasting effect and the natural hair growth and result. Nevertheless, hair transplantation can cause a variety of side effects as any surgical procedure. Common side effects and complications include infected hair follicles, loss of transplanted hair (also referred to as shock loss). Plus, there is always the chance that the hair follicles will die off before regrowth can occur. When this happens, bumps can develop on the transplantation sites. To summarise , hair transplant can be a very satisfying method that can respond to any patient’s needs and whims by giving them the appropriate shape of hair that will match their facial features, and the risks will be minimised too if they make the right choice of the hospital and medical team.